Design-Apart, which delivers custom Italian design to the masses, is launching a series of limited edition objects produced in collaboration with top artists and designers around the world. 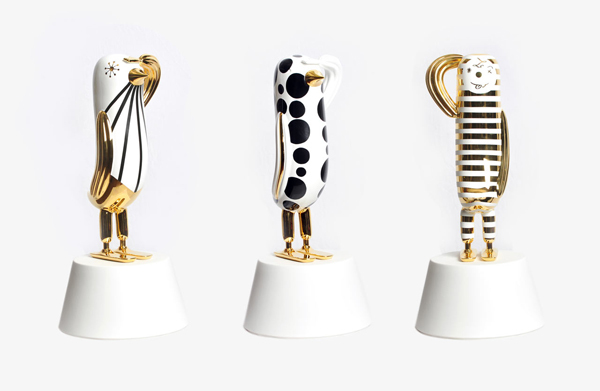 Jaime Hayon was the first designer to be chosen and his collection, Hope Bird, was created with the help of Italian ceramics manufacturer Bosa. 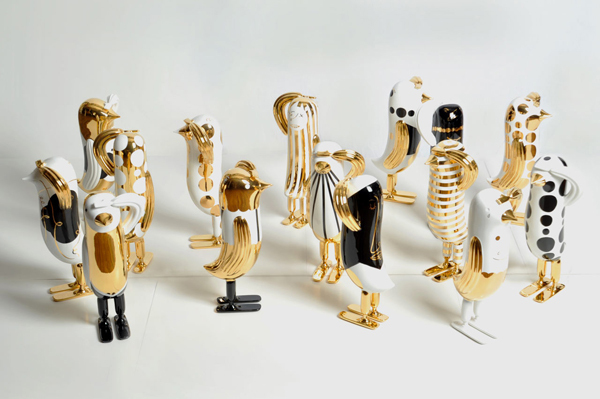 The collection is made up of 15 ceramic birds that while being identical in shape and size, are each hand-painted with a unique design. 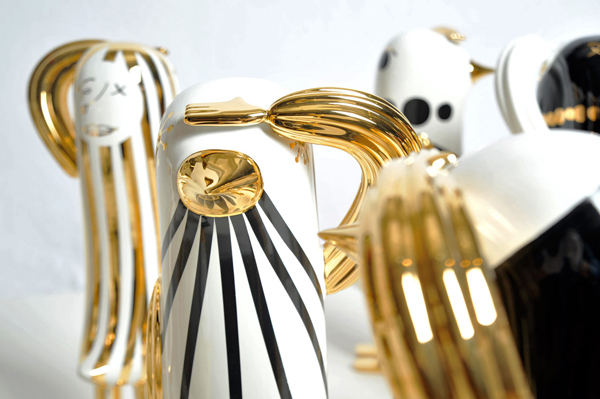 The golden and black painted birds represent hope and an optimistic approach to the future. 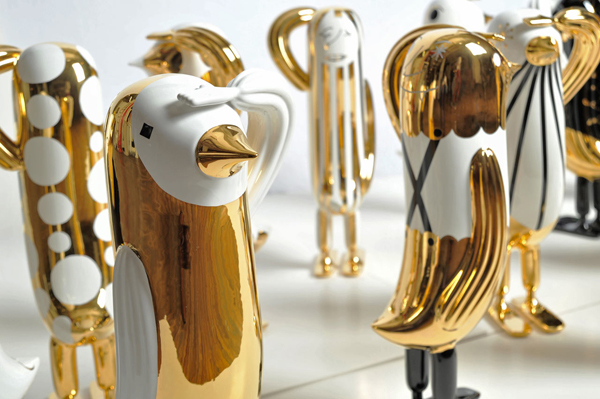 Each bird stands 2 feet 4 inches tall and only one bird in each design is available starting December 12th.